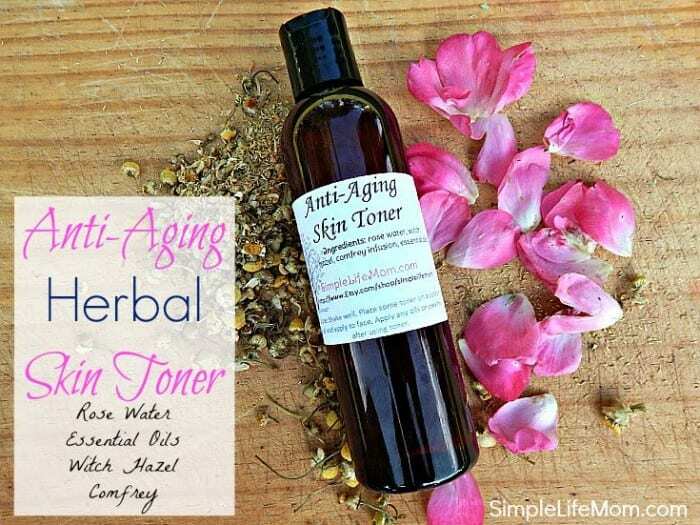 I absolutely LOVE this Homemade Anti Aging Herbal Facial Toner! I get very dry skin during the winter and after I wash my face my skin feels tight. I used to say I have crocodile skin and would rush to get lotion. Now, I no longer have to worry. I use a Natural Herbal Face Cleanser that does not dry out my skin, followed by this face toning recipe. I’ve said it before, if you’re going to make something to use on your face, it might as well be packed with nutrients to heal and uplift (body and mind). 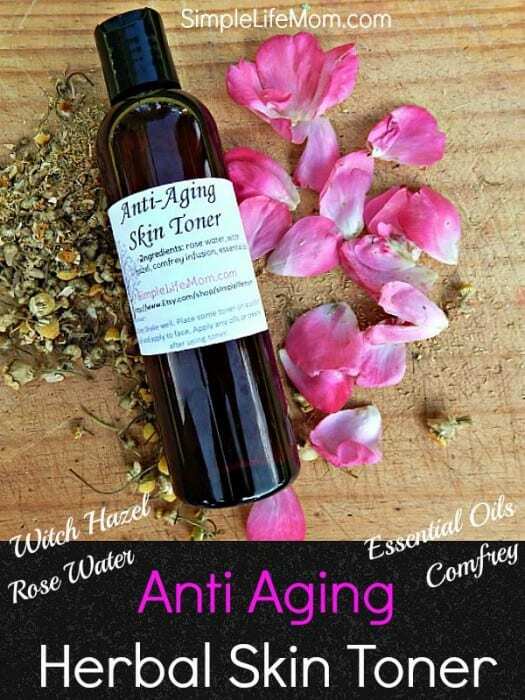 Why a Homemade Anti Aging Herbal Facial Toner? A lot of times we will wash our face with warm to hot water, whether we are in the shower or are using a wash cloth before bed. This heat will open pores – which is good when you are cleansing, because you want to get out all the dirt, grime, and dead skin cells. But what about when you’re done? The first thing should be a splash of cold water. I’m sorry, but cold water and i don’t mix in the winter. Even so, following up with a natural astringent/toner will close your pores and lessen any damage that was done through the cleansing process. So, what do you need? It’s not an extensive list. Just a few ingredients is all you need. Rose Water – You can make your own rose water, or find some online (I don’t have a local place that I’ve found that sells it). Herb Infused Water – You can use this instead of the rose water if you need to: both/either/or. Make a tea with comfrey leaf or root to add an extra anti-inflammatory and nurturing property to your toner. Witch Hazel – witch hazel is an astringent. It is fabulous for closing pores and soothing skin. I have used this Non-Alcohol version with Aloe. Here’s an organic version that is 86% organic witch hazel, 14% organic alcohol. You can also buy your own Witch Hazel Leaf. You can pour boiling water of over the leaves in a jar and seal. Give it a shake daily for a week or so and it’s ready to use. Rosemary essential oil – this is added for its great skin nurturing qualities, but it also helps to preserve the entire mixture. Grapefruit essential oil – uplifting, antibacterial, and really rounds out this recipe. Carrot essential oil – carrot is just amazing for the skin. It is a great anti-aging oil which is why I add it here and there and everywhere. If you don’t have carrot, you can add geranium as well (like I do in my version I sell in my store). This makes a very nourishing toner; great to use after cleansing your face and before adding any moisturizers. Boil water and pour 2 Tbsp over 1 tsp of comfrey and allow to steep for 10 minutes. Strain comfrey to make 1-1/2 Tbsp. Combine all ingredients and seal in an air tight container. After washing your face and patting dry, pour some of the toner on a cotton ball or use a glass dropper to place some on your hand before rubbing all over your face and neck. This insures that it stays sterile. That’s it! You can vary the essential oils that you use. If you are really nervous about the infused water, you can skip it, though it really does add a great quality to your skin routine (Again, just think of it as making tea). Don’t have all the ingredients yet? 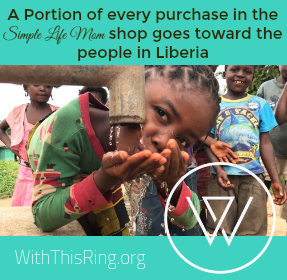 Check it out first in My Store. After cleansing and using a facial toner, I follow up with my Anti Aging Serum and/or Anti Aging Eye Cream. Yes, that’s using the term “Anti-Aging” a lot. I should look sixteen right? Reality is, there are natural herbs and essential oils that are fabulous for your skin and will continue to heal and nurture as you age. Why not take advantage of them? They are not miracle workers. You’ll still age 😉 BUT, you’ll age beautifully and in your time, with glowing skin and a healthy complexion. Thanks Kelly! I look forward to trying this, I need a little anti-aging in my life. Just had a ? About the toner. If you choose to use the herb infused water would you still use the rose water along with the comfrey or would you use the herb infused water in place of the rose water or in place of the comfrey? You can use one or the other, no problem. They just both add different qualities to the toner. If I had to choose one, I’d choose the rose water because of its known beauty benefits. I am definitely making this. 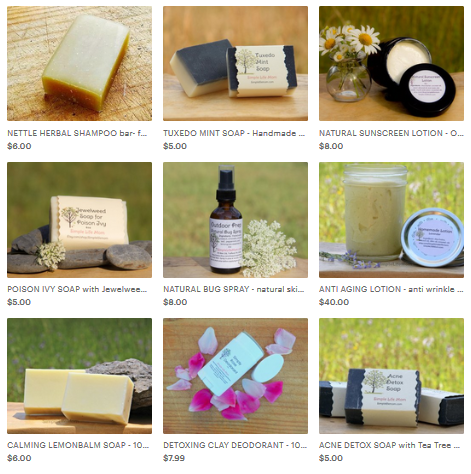 I love the natural products so that you know what you are putting on your skin. I’m sure with the rose water and essential oils it smells great too. I’m glad I could give you the recipe. I love the scent!! I know this is maybe a stupid question, but I would like to make this using BOTH the rosewater AND the herb infused water. Problem: I don’t have comfrey, and MRH is out of stock right now. what other herb would you recommend for this? I don’t have any great brain function right now to figure out which are the most anti-inflamatory and nurturing to use! LOL! Thanks for a great post, AGAIN!! You can use a number of herbs, like black walnut leaves, Echinacea, or hyssop. These all have health benefits that extend to the skin like aiding in acne and eczema. Calendula is a great skin herb to replace the comfrey. Just wondering, you mean the comfrey LEAF rather than the comfrey root, right? I didn’t say either. Comfrey leaf is excellent, though root also gives a lot of the same benefits. With the herbs, the shelf life is shortened. I would make a small batch and use within 2 months. You can store it room temperature. During very hot summer months You may want to pop it in the fridge so that it lasts longer. Hi, Kelly. Can I substitute another citrus EO for the grapefruit? I have lemon and sweet orange. I was going to use geranium instead of the rose oil. Will these substitutions change the effects? Be careful with citrus oil usage on your face if you are on the sun a lot. Citrus oils make your skin burn easily in sunlight. There are so many wonderful oils that are great for the skin. Helichrysum, cypress, tea tree, frankincense. Have fun and find your favorites. Yes. Each oil brings different qualities to the final product, but those are excellent substitutes. Hi Jenny, I recommend alcohol free for better ingredients (depending on what the alcohol was distilled from) and because alcohol can be harsh on your face, stripping away good oils or overly drying the skin. Question: what part of comfrey do you infuse the water with? (Seed? Root? Leaf?…). Thanks! I use comfrey leaf, though you can use root for this purpose.